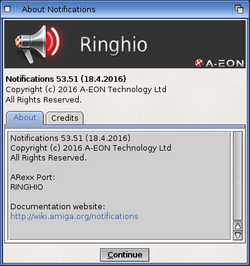 Ringhio is a notification system for the Amiga Workbench. Notification messages pop up on the Workbench screen generated from any application that uses it. The latest version of the NotificationServer is 53.52 (23.04.2016). All public updates are available to download for registered users who have the Enhancer Software installed. Ringhio Notifications has support notification sounds since version 53.37. Sound can be configured globally and also set for an application-by-application basis. Global Sound Settings: the settings for this are under the Preferences tab in the Notifications Preferences. 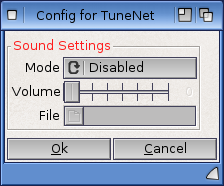 Sound can be enabled/disable, volume set and the sound sample file selected for all notifications. 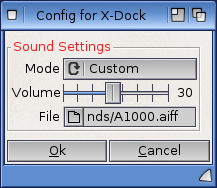 Application Sound Settings: the settings for this are displayed by clicking the Config button under the Application List tab in the Notifications Preferences. The respective application must be selected in the list before clicking the Config button. The sound settings can be set to either Global, Custom or Disabled. The first Mode option makes the global sound settings override the application's notification sound. 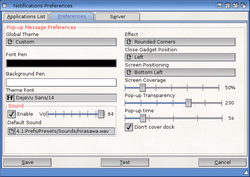 The second Mode option lets you specify a sound sample and volume which will be played instead of the global sound settings. The third Mode option disables all notification sounds for that specific application. 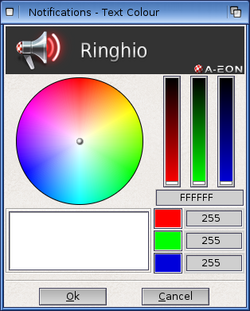 Ringhio Notifications Arexx Interface details how to use Ringhio Notifications with AREXX scripting language. This page was last modified on 21 March 2017, at 12:49. This page has been accessed 41,787 times.